Salt or sodium chloride is an extremely versatile mineral that is essential to human health and is a key component of a healthy diet. However, getting the balance of salt right in your diet is really important; too little can cause Hyponatremia (acute sodium deficiency) and reduce vital bodily functions. Like many things in life, the key is balance, and everyone is different. As our bodies cannot produce salt, we must ingest it. Salt has been used in cooking for hundreds of years and for lots of different purposes, from its health benefits to seasoning and preserving foods. In fact, many professional chefs cite salt as the single most important ingredient to cook with. This is because salt is one of the five basic tastes that humans can sense (the others are sweet, savoury, sour and bitter). The use of salt in cooking should go further than simply sprinkling a pinch or two over your roast potatoes; it should be used to make the most of ingredients and create great tasting food. So, we explore the different ways that salt can be used in cooking and how it can transform the food you eat. The most obvious use for salt in cooking is for seasoning. Lots of people use salt as an afterthought to season food, but it is also important to use it during cooking to bring out the flavours of a certain dish or to make bland foods tastier. For example, salt can help to increase the natural sweetness of tomatoes and enhance their flavour. In addition, salting proteins, such as meats and pulses, is commonly used to maximise flavour. Salting foods to taste will help to bring the best out of the ingredients you use and will really set your food apart from the rest. Salt is also commonly used to prevent foods from tasting bitter. Interestingly adding a pinch of salt to dark chocolate, will actually make it sweeter, not saltier. Rather than being a cognitive sensation, the bitter taste of food in fact occurs on a molecular level and can be diminished by using salt. Using salt as a preservative dates way back in history to the Ancient Egyptians, who used it to preserve food and the bodies of their dead. During the Tudor Period it was also widely used to make foods, (especially meats) last longer, as they would often go for long periods of time without fresh meat. The two main types of salt preservation are dry salting, in which food is covered with salt, and brine curing, where food is bathed in salt water. Salt is a good preservative as it alters osmotic pressure and makes it more difficult for bacteria to grow, allowing food to last longer. So, don’t be afraid to use salt in your cooking. It is important to make sure that you consume salt as part of your diet as our bodies need it in order to function properly. 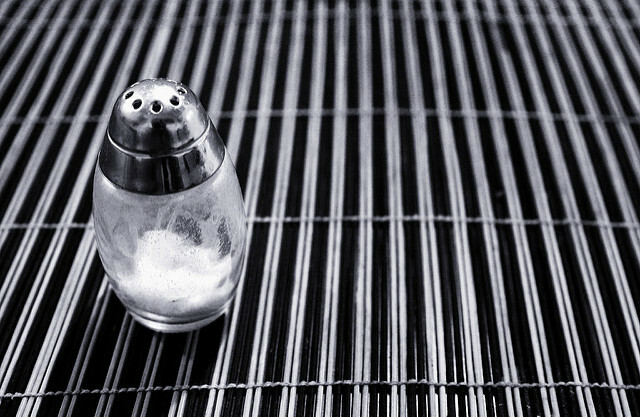 When it comes to cooking, salt shouldn’t just be an afterthought for seasoning food. It is a great way to bring out the flavours in food, increase sweetness, reduce bitterness, and preserve food to make it last for longer.